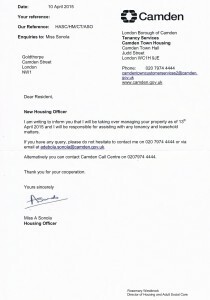 I am writing to inform you that I will be taking over managing your property as of 13th April 2015 and I will be responsible for assisting with any tenancy and leasehold matters. 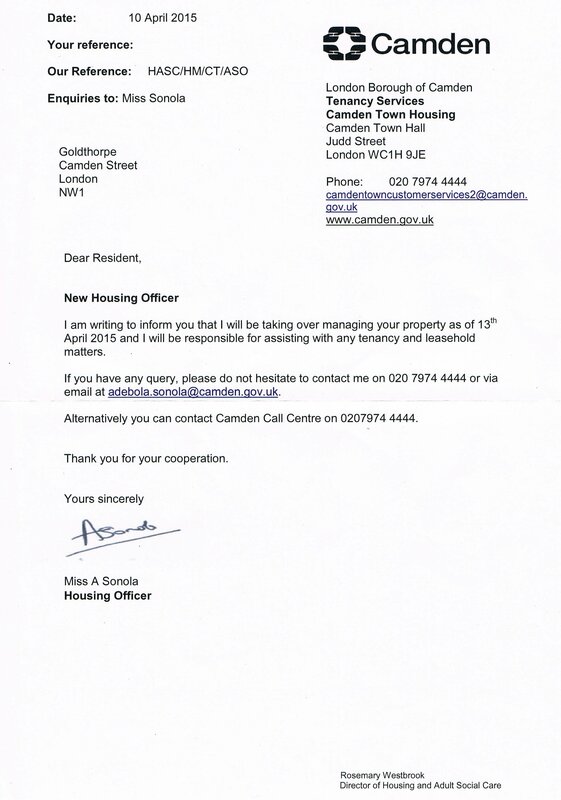 If you have any query, please do not hesitate to contact me on 020 7974 4444 or via email at adebola.sonola@camden.gov.uk. Alternatively you can contact Camden Call Centre on 0207974 4444. Thank you for your cooperation.